Leading electronic components distributor in Asia Pacific, element14 Pty Ltd (formerly Farnell) now stocks the advanced i.MX Multimedia Applications processors from Freescale Semiconductor. Providing advanced multimedia technology and power-efficient implementations of the ARM Cortex-A8 core, with processing speeds of up to 1.2 GHz, the i.MX53 family of processors is optimised for both performance and power to meet demands in the consumer, automotive, medical and industrial markets. 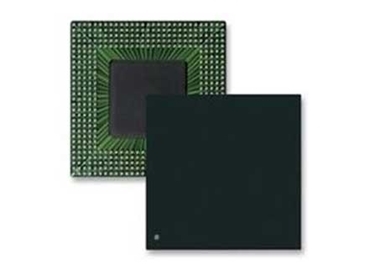 The i.MX53 processors deliver ultra-fast processing for applications including tablets, smartphones, automotive infotainment systems, patient monitoring equipment and industrial devices with human-machine interfaces. Paul Smith, Freescale’s worldwide manager for distribution channel and ecosystems explains that the flexibility and ease-of-use of Freescale’s i.MX processors will appeal to engineers who require high performance to help ensure their designs keep pace with advancements in portable electronics and infotainment systems. According to William Chong, Regional Director of Supplier Marketing, element14 Asia Pacific, Freescale’s dedication to innovation complements element14’s unique service propositions to ensure their customers enjoy improved productivity and time-to-market. He adds that element14 will continue to collaborate with Freescale to bring some of the most comprehensive and advanced solutions to meet the demands of engineers in Asia Pacific. element14 also offers dedicated support for Freescale’s microprocessors and peripherals, microcontrollers, special function ICs, development tools and programming kits online.